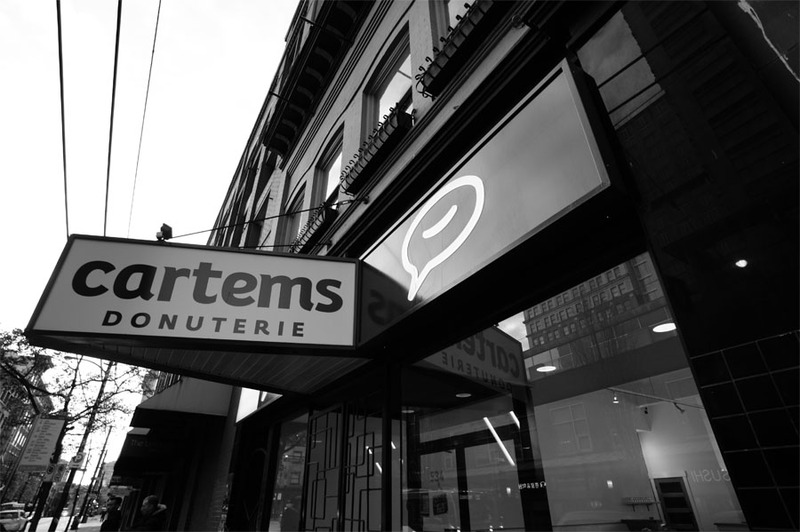 "Cartems is all about quality ingredients, creative flavours, and making people smile, one donut at a time." 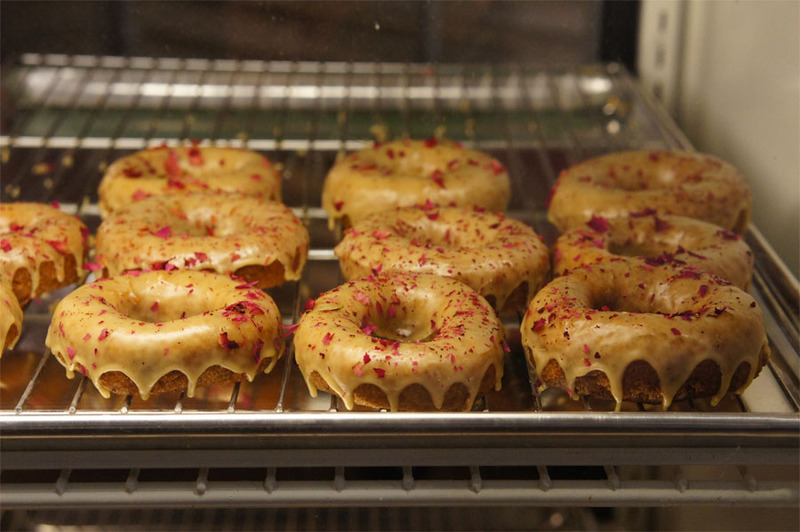 After a successful run with their pop-up store below the Pennsylvania Hotel, Cartems Donuterie recently made the move into their own space that includes a dedicated kitchen and seating to enjoy a doughnut with a cup of coffee. Walking into Cartems' space you will find a huge 2,788 square feet room with an exposed brick wall running the length of the cafe adorned with a fluorescent light fixture installation. While the wood stump stools and tabletops in the space all get a glossy finish. The doughnuts are the star of the show at Cartems with favourites like the Whiskey Bacon and Earl Grey always in ample supply. You will find the display cases stuffed with dozens of other doughnut to try including gluten-free and vegan options. And behind the counter you won't find a drip coffee brewer or espresso machine with all the coffee at Cartems prepared using Chemex pourover brewers using coffee from Matchstick Coffee Roasters. They also bring in Victoria's Jagasilk for their loose leaf tea menu and milk is served on tap in chilled mugs. Up on the corner of Dunsmuir and Richards is Cathedral Square park which is located across the street from the Holy Rosary Cathedral. While it mainly exists as a nondescript urban plaza, it actually sits on top of a BC Hydro substation that serves around 30% of downtown Vancouver's electrical load. The substation built in 1984 sits in an excavated hole twenty meters down from the surface and round concrete shafts in the plaza provide ventilation for the substation. The park was designed by Bruno Freschi who was also the chief architect of Expo 86 along with the redevelopments of heritage buildings at 550 Beatty and 611 Alexander. Cartems Donuterie's branding was created by Derek Adam in collaboration with Jennifer Hicks. The stools at Cartems are made by Vinoture Furniture Products in Montana taking reclaimed oak wine barrels and turning them into a line of tables, chairs and other homeware products. A few of the tabletops in the cafe were also made with wood reclaimed from the space during construction. The building housing the cafe was built in 1909 and while it has hosted lots of different business, the longest tenants ran a typewriter store starting in the late 1930s for almost five decades. Also, the sign on the front of the cafe is non-conforming under current zoning rules and got grandfathered since it was built before the sign bylaws were updated. 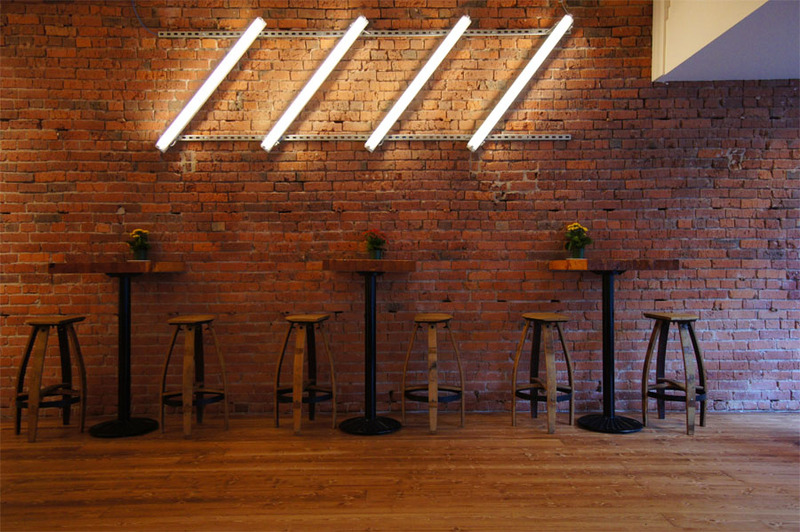 The fluorescent light feature running along the brick wall in the cafe was created by Vancouver artist Ricky Alvarez. His work can be seen throughout Vancouver on projects he's collaborated with Craig Stanghetta on including Revolver Coffee, Pizza Farnia and Pidgin. The inspiration came from a visit to the Frye Art Museum in Seattle by one of the partners at Cartems. The light installation at Frye consists of over 200 suspended fluorescent tubes called "Through Hollow Lands" and was created by the visual design team of Lilienthal and Zamora. The Donut: A Canadian History written by Steven Penfold lists Nuffy's Donuts founded in 1978 as the only doughnut chain founded in Vancouver which only had 10 locations at its peak. The area around Cartems is surrounded by several multi-level parking garages that draw back to the 1950's when downtown businesses that were worried about new suburban shopping malls with ample free parking. 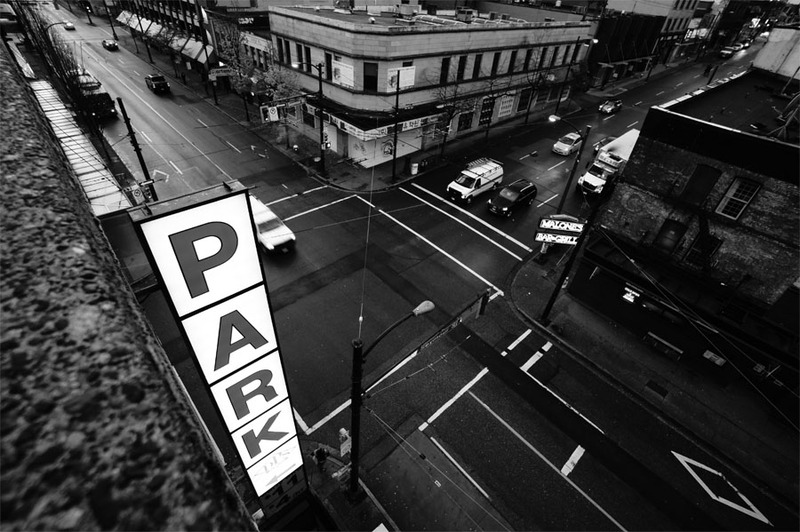 The Downtown Parking Corporation which was conceived by area businesses along with private garage owners helped to build a huge stock of parking spaces downtown. In a 1960 survey of downtown parking garages there were 235 surface and multi-level lots. 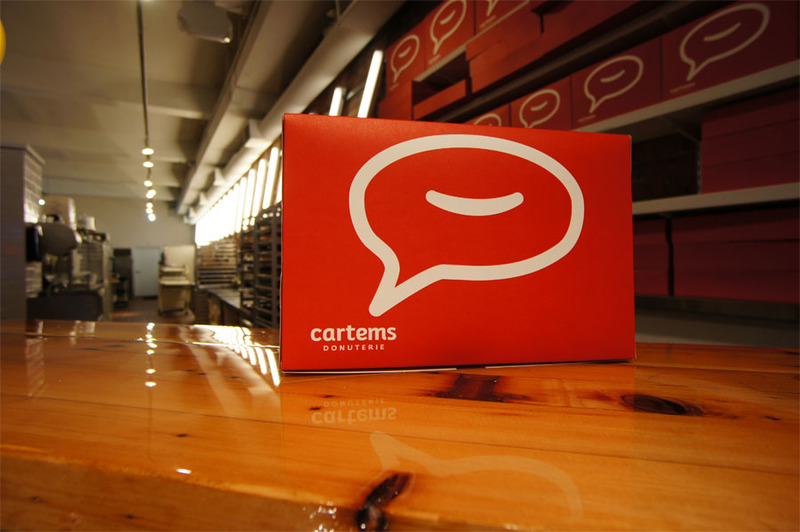 Scout Magazine: A Look Inside The New “Cartems Donuterie” Location At 534 West Pender St.